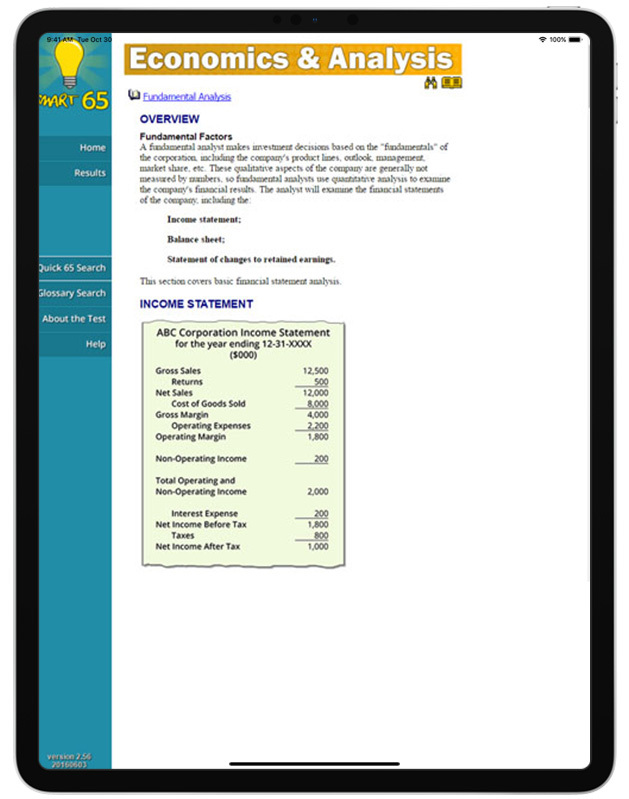 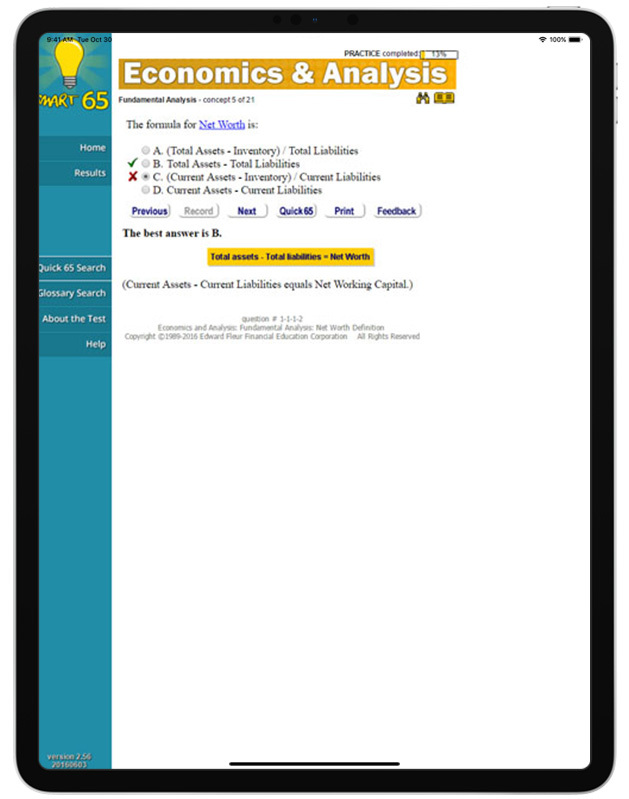 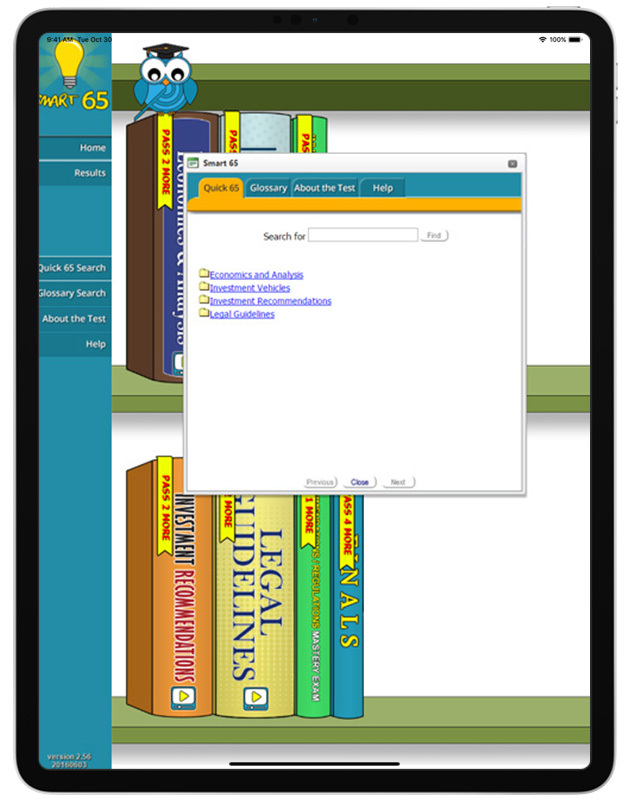 The program is divided into the same "Chapters" as our Series 65 text, and includes an online textbook that leads the user sequentially through every topic, testing the user on each major point. 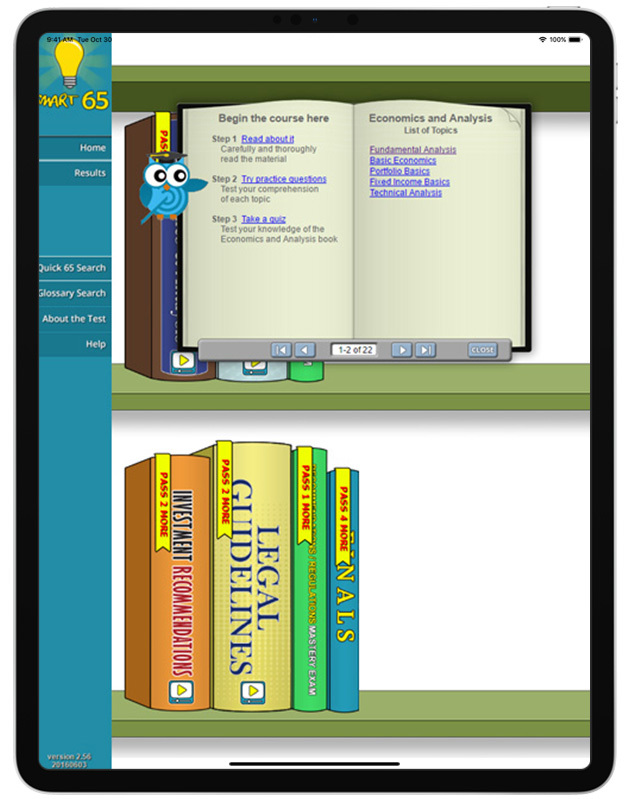 The program dynamically modifies each student's learning sequence, based on the student's strengths and weaknesses. 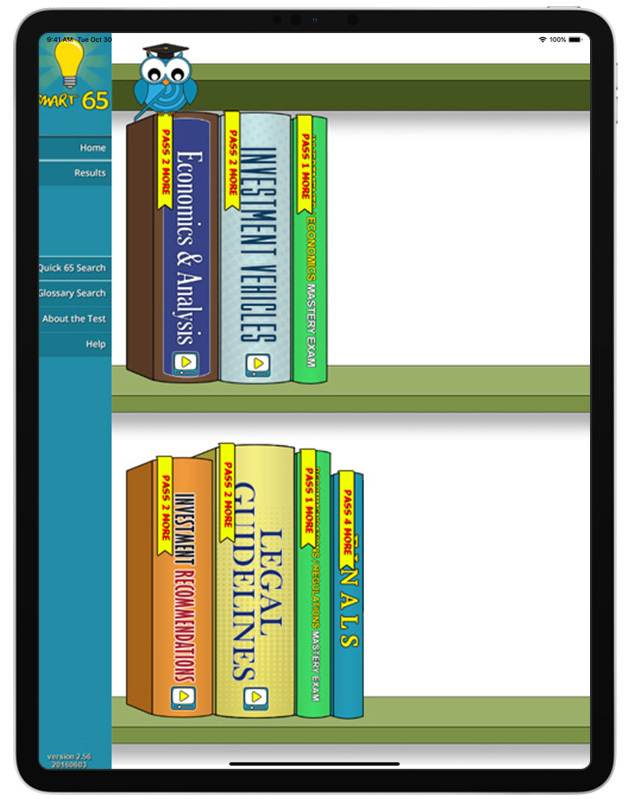 If a user is having difficulty with a major concept, he or she is presented with the information to be learned in a variety of reinforcing methods until mastery is achieved. 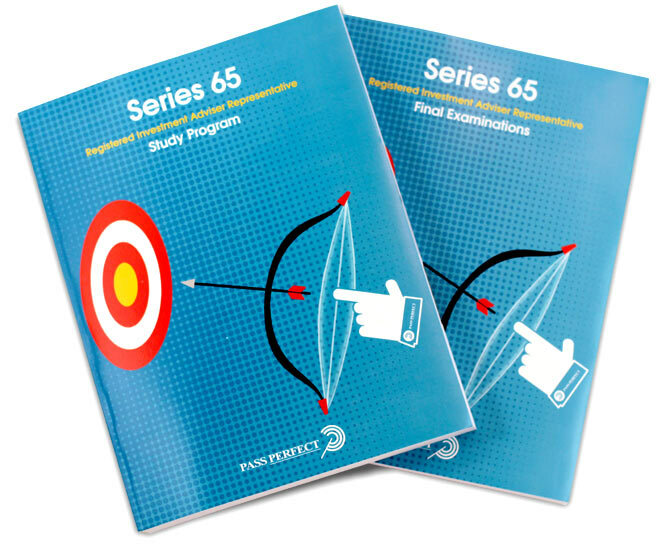 Therefore, users who are not having problems move rapidly through the program; those that are having difficulty will move more slowly, but they will meet the minimum competency level needed to pass the examination upon successful completion of SMART 65™. 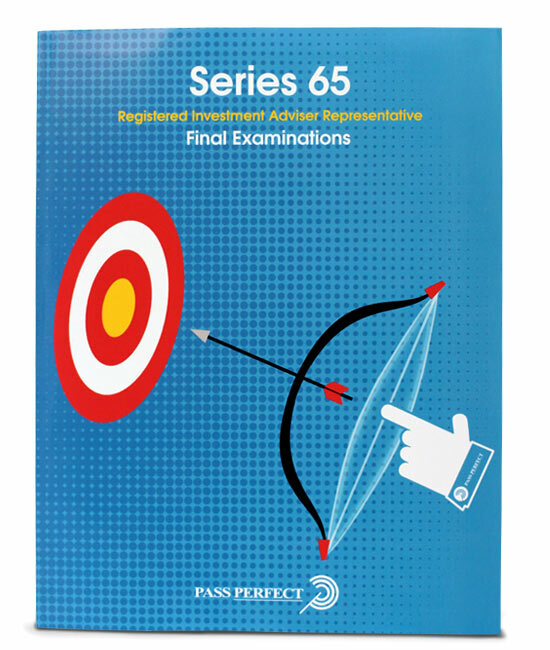 We developed this learning approach by combining the most successful teaching techniques culled from 20 years of preparing students for the securities exams. 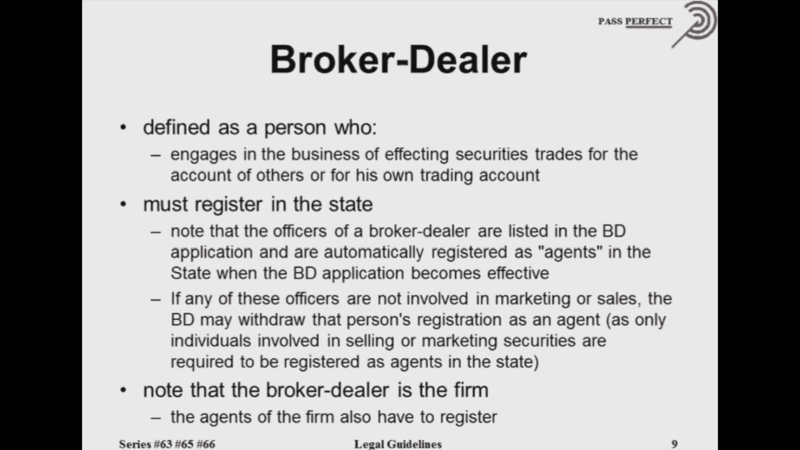 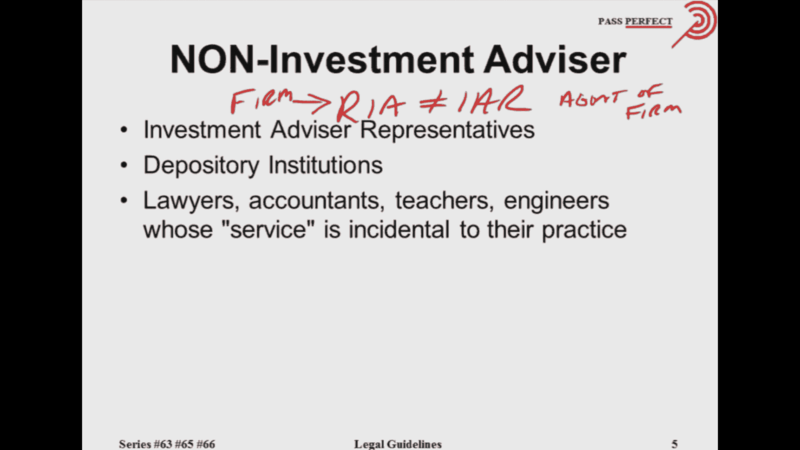 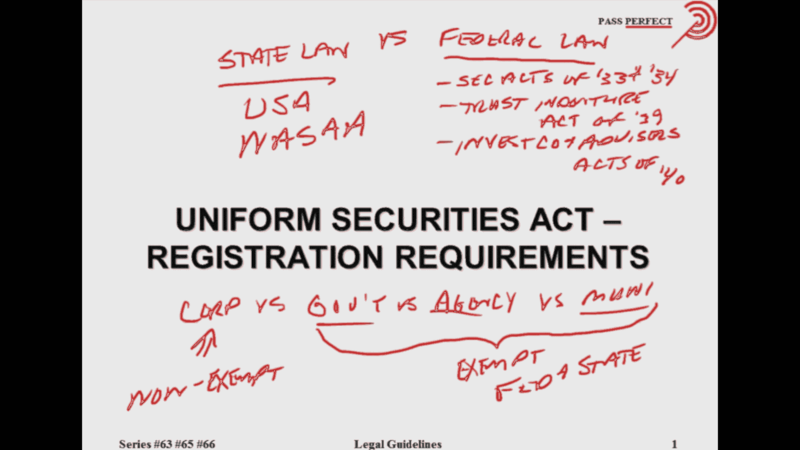 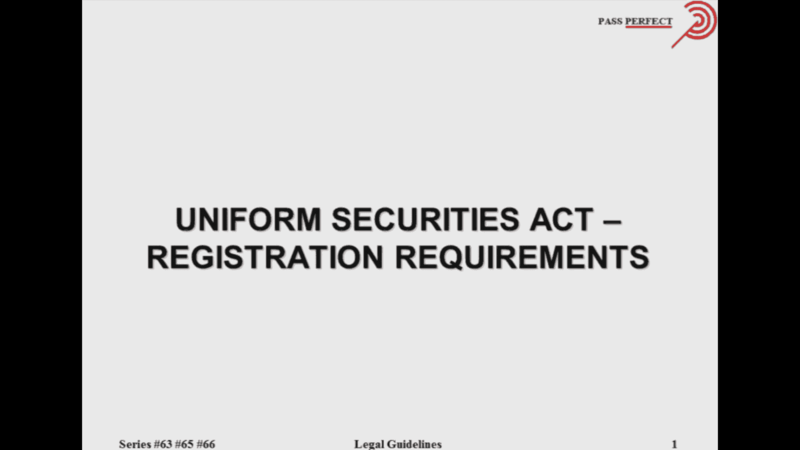 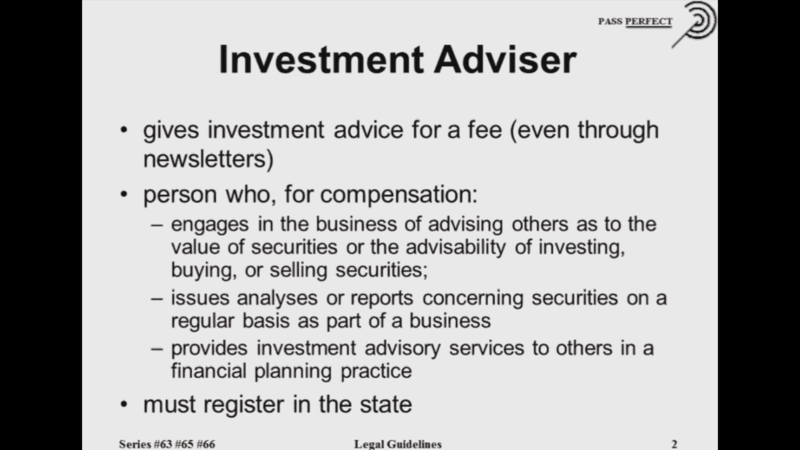 This exam covers a representative's knowledge of securities products, portfolio management strategies, economics and analysis, and all of the legal guidelines under which an adviser must operate (these are the Uniform Securities Act - State law covering investment advisers; NASAA rules - NASAA is the North American Securities Administrators Association, which is the group of State Administrators that enforces the Uniform Securities Act; as well as Federal laws on investment advisers). 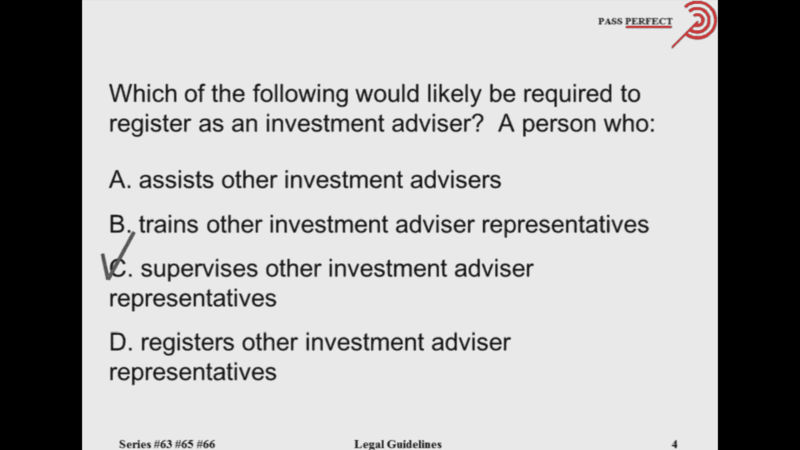 To expose the candidate to the extraordinary depth of possible questions on this exam, tests are drawn from a pool of over 5000 distinct questions.